We offer one size of Huron drums. These are made from cow rawhide. 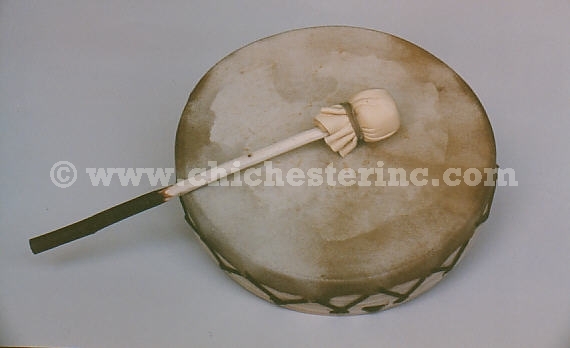 Each drum comes with a wood stick that has a soft deerskin head.